This is a two part series, Part II is here. I want to open a conversation about appearance and the role it plays in our human experience by considering the story of one of the most famous women in modern history, who also happens to be one of the most renowned in terms of her physical appearance, the opera singer Maria Callas. This is a fashion website and I spend a lot of time here, maybe more than I should, thinking about how things look. I don't want to pretend that appearance doesn't play a role in fashion, and I also don't want to live in a world in which appearance plays the major role in fashion. So I'm left holding the question, and hoping to find a way to nurture a healthy relationship with appearance in this space. Part of why I am so interested in the topic of our appearance is that it deals with what exists in the balance between perception and reality. It is something about us available externally for all to see. Accordingly, people can use it to judge us, without ever knowing who we really are. But we may look one way and we are one way—those could be aligned, divergent, or somewhere in between. I'm also interested in appearance because in many ways, it can seem superficial. But then our relationship with our appearance ends up being anchored, often deeply, to our substance- to our longing to fit in, to our desire to be acknowledged, accepted, and seen for who we are. Appearance accompanies us throughout our human experience. It is a constant. I've come across few stories on appearance more compelling than that of Maria Callas. So, over two posts, we'll explore this topic, starting with some context, largely by way of the biography of Maria Callas written by Arianna Huffington (which I highly recommend). I'd also like to briefly note up front that while this story involves Maria transforming herself through changing her weight, I don't feel that it does, nor that it should, place any absolute value on an ideal body type or size, and I very much hope that is not the takeaway. Rather, I'm curious about the motivation behind her change in appearance, what it did for the way in which people saw Maria Callas, and most importantly, for the way in which she saw herself. Photographed by Cecil Beaton, 1957. Callas photographed by Horst P. Horst. Date unknown. 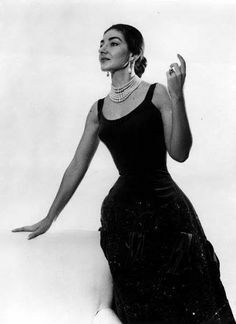 Callas in 1952. Photographer unknown. In 1951 with Giovanni Battista Meneghin, her husband at the time. Photographer unknown. In 1951, before a performance of La Traviata in Florence. Photographer unknown. In 1952 in Milan before a performance of La Gioconda at La Scala. Photographer unknown. Performing La Traviata in Verona, 1952. Photographer unknown. By August 1954, Maria had lost more than 60 pounds, and her appearance became the subject of global attention. By 1955, Maria had lost even more weight, and gained even more global adoration, but was no less settled on the matter of her appearance. In La Sonnambula during the 1954-1955 season. Photo: AP/AP/SIPA. So it seems, weighing down on Maria Callas even more than any extra pounds was an intense desire to be loved, not as La Callas, not as the opera diva, or prima donna, or as elegant woman she transformed herself to be, but as Maria. At home in Milan, 1958. Photo by Franco Gremignan. Photo: M. Pevsner. Date unknown. At her home in Milan, 1958. Photo: Farabola/RDA/Getty Images. So, does appearance matter? 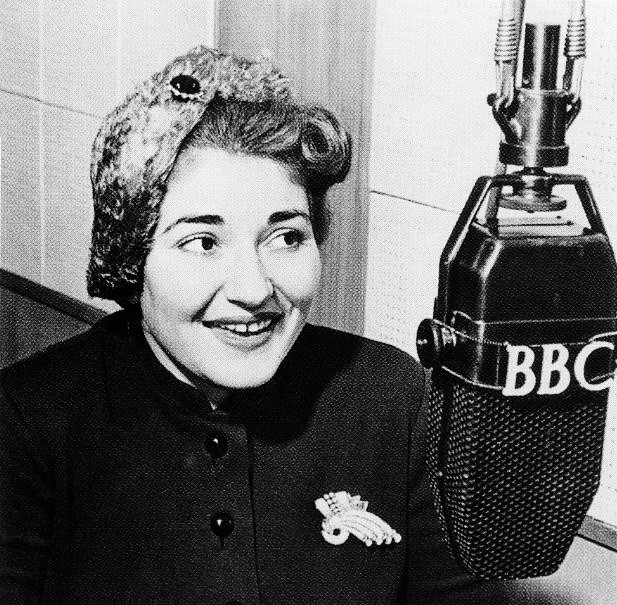 What can we learn from a woman who became an icon by altering appearance? What can we take away from a story in which a change in appearance is tinged with extraordinary fame, deep self-doubt, an immense longing to be loved, and a desire to be seen and accepted as oneself coupled with a desire to be seen and accepted as something mightier than oneself? How do we piece it all together? Chime in if you're ready! Or tune in for the second part of this post coming at you soon. In the meantime, while you contemplate, here's Maria Callas as perhaps the best Tosca in the history of opera singing Vissi D'arte. Source: Huffington, A. S. (2002). Maria Callas: the woman behind the legend. Rowman & Littlefield. Feature image by Gari Julve.